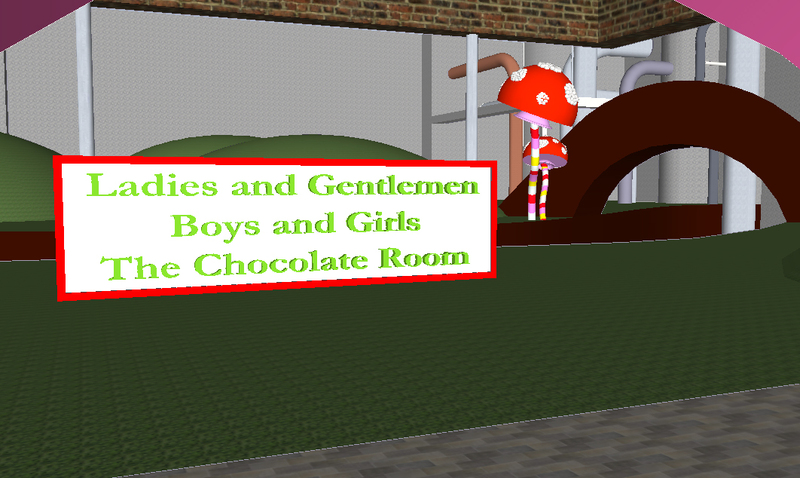 Just a couple of additional pictures from our group project of Charlie and the Chocolate Factory, the chocolate room (center of factory) was created by Matt in SketchUp and then was imported into and married up to the models i created. 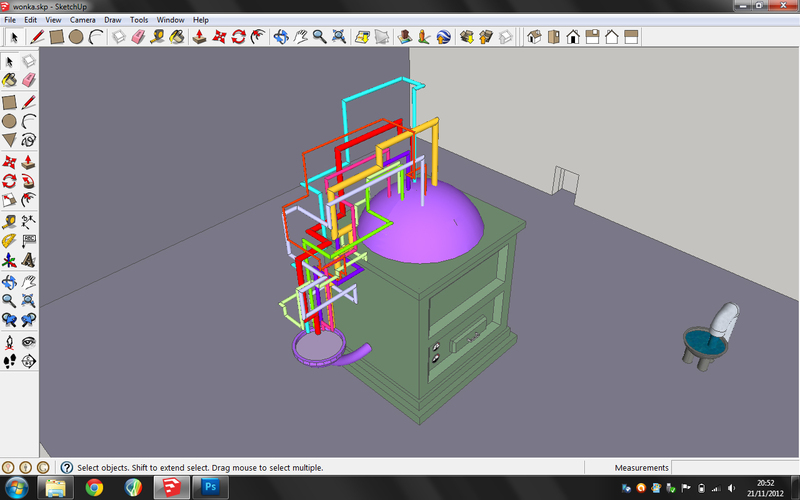 More images to come! 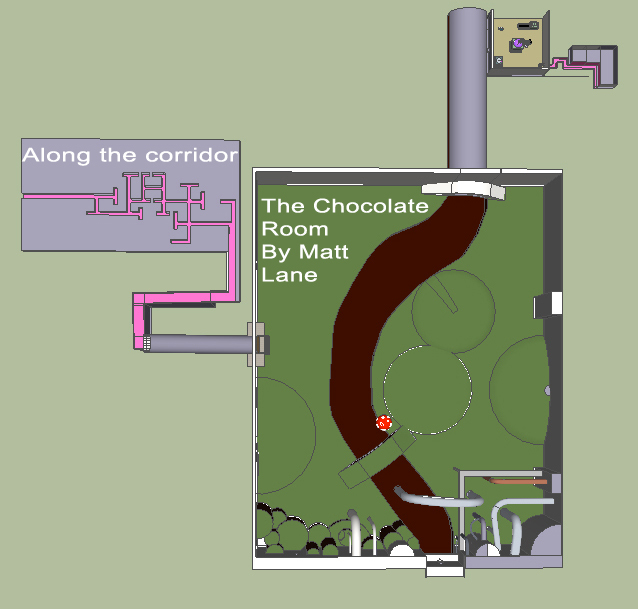 In Craft and media tech we were placed in to groups and given a brief to create a game concept based upon a book that we had read. The only book which really sticks in my head is Roald Dahl’s, Charlie and the Chocolate Factory, which i must have read to my three year old son about ten times in the last year or so. So, me and our group decided this was a good book to base a game upon and after lots of discussion and idea plucking we decided to base the game upon a character briefly mentioned in the original book. This character Charlotte Russe was the finder of a golden ticket, which turned out to be a fake. After being found out Charlotte becomes envious of the five winners of the golden tickets and embarks upon a mission to disrupt their trip around the factory by any means possible, so that she can claim the prize. 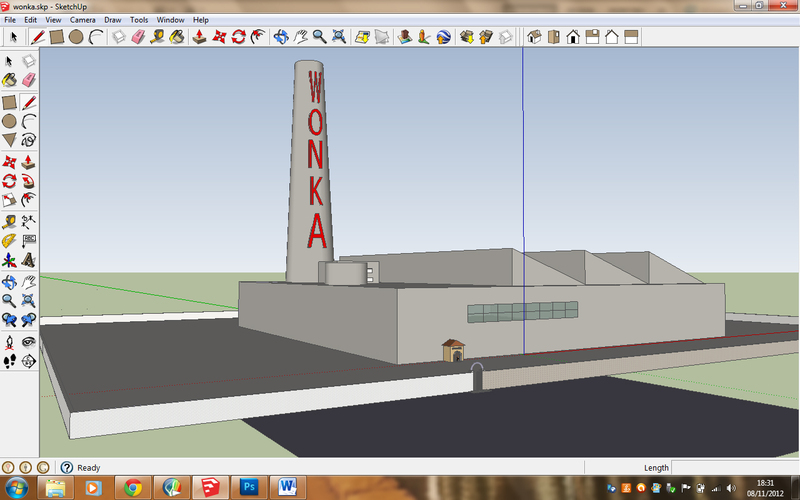 A model of Willy Wonka’s factory, made in SketchUp. The Great Gum Machine, where Violet Beauregarde meets her demise. 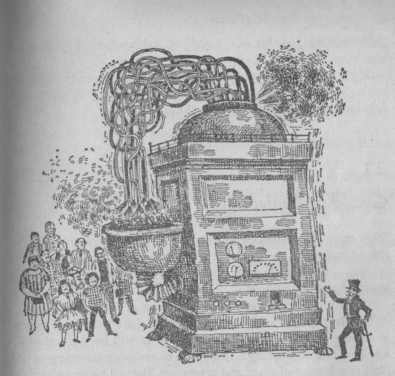 An illustration of The Great Gum Machine by Faith Jaques, from my 1975 copy of the book. 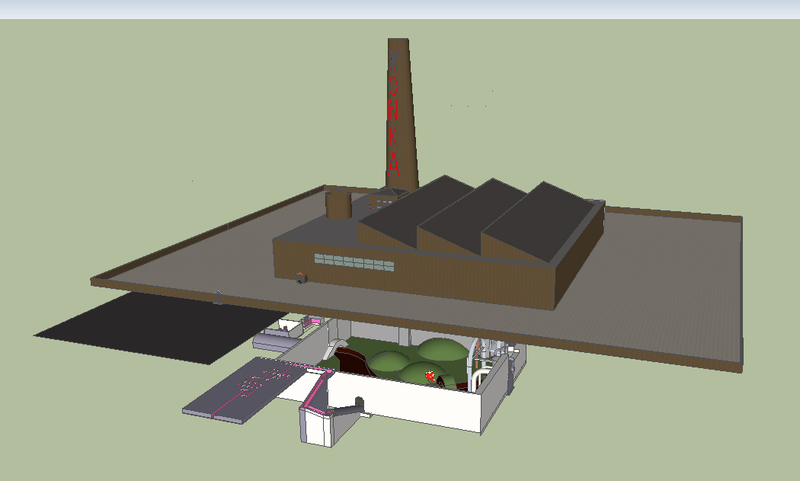 This is a floor plan of Wonkas factory that was designed within our group, it was based upon descriptions of the factory with Roald Dahl’s book.